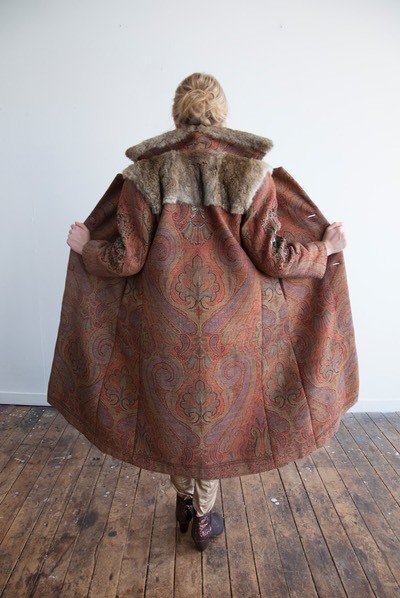 A fanciful project … with a very vintage and rather precious Scottish wool paisley shawl found in a Dunedin antique store … and then hour upon hour of beading work to the sleeves and a little motif on the back. 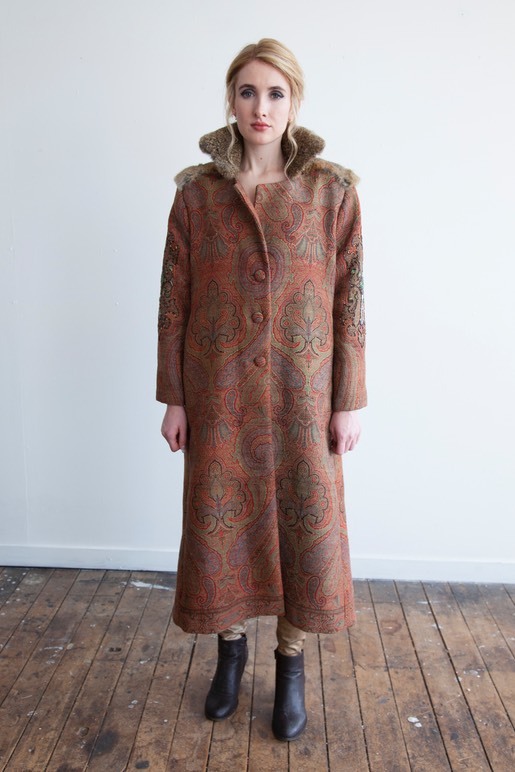 A true expression of the term ’Slow Fashion’, this one of a kind coat has turned out wonderfully well. 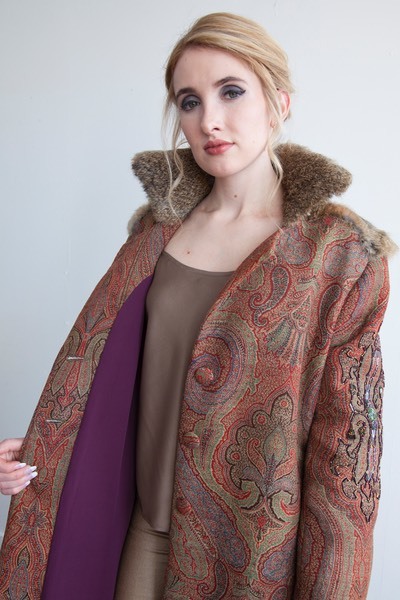 Teamed with natural toned rabbit fur and a purply silk crepe lining this well travelled paisley is now ready for new adventures.